Why is it Important to Visit a Dentist? 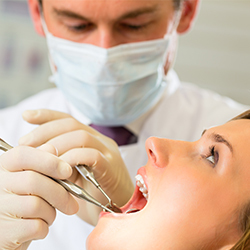 A proper dental check-up on a regular basis is very important to maintain the oral health. People often do not consider a regular dental check-up as important as other health care regime. There are various reasons which lead to the failure of proper oral health care such as a busy schedule or dental phobia. A few important tips related to the importance of visiting a dentist is described below. A constant toothache is a sign that a dentist visit is required immediately, whether the pain is tolerable or intolerable. Any kind of infection or cavity that can notice on your tooth, seek immediate dental care without any delay. Blood on your toothbrush reveals that either you have a gum issue or you are brushing aggressively. Persistence of bad breath for a more extended period of time or even after brushing is assigned to cavity infection. Bad breath could be a sign of any underlying dental disease such as a cavity, gum disease, etc. If your mouth is not producing enough saliva, you will feel dry mouth. Dry mouth could be a result of tooth decay or infection.